I am taking a fab online class Stenciled and I am just catching up the homework here. 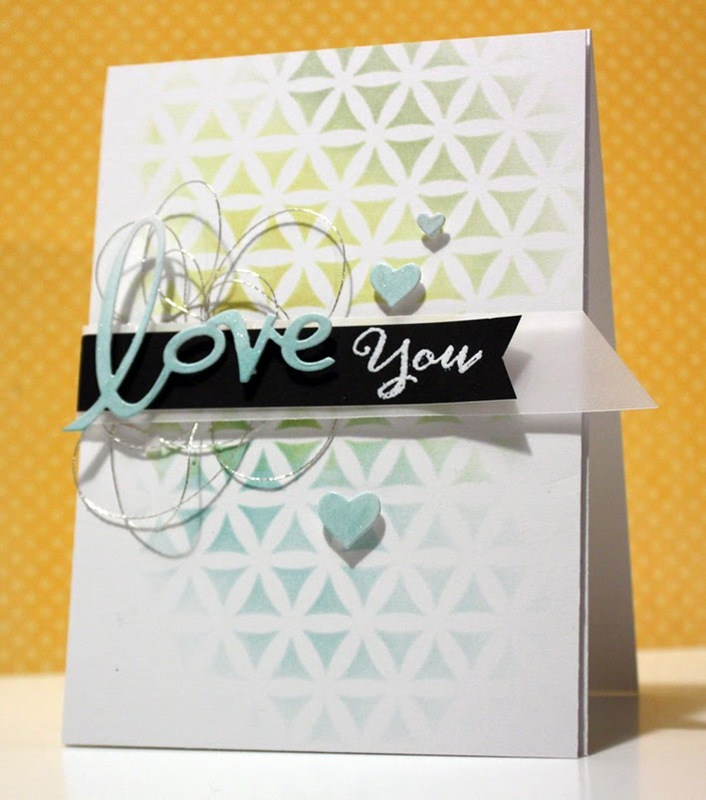 This card was inspired by Debby's in the Day 1 class. I just love her card - so classy as always. I am always affraid of copying someone else 's work - but I do like the stenciled pattern going from one corner to the other. I softly used 3 Ranger Distress inks (scattered straw, bundled sage & evergreen bough) with my ink applicator, over the stencil (the kaleidoscope from TCW). 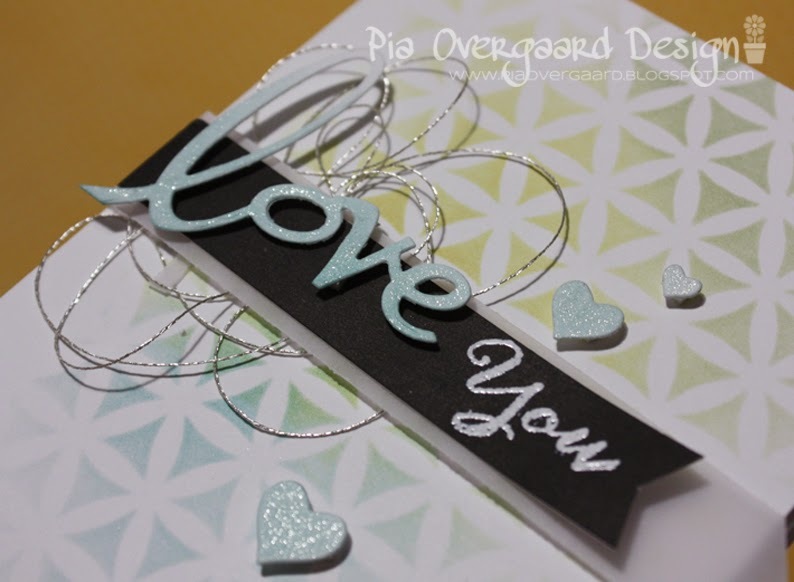 I used a mixture of diecuts (an older cuttlebug die LOVE) and some hearts from SSS (holiday Shapes) for my focal point and added a lot of shimmer with the Wink of Stella clear pen. Other: SSS diecut Holiday Shapes, Wink of Stella Pen, metallic thread, vellum. I haven't used stencils too much in the past - but this class definitely inspires to try out some fun techniques !! So pretty, Pia! And very elegant! Oh so pretty, Pia! Love the colors and those little hearts! This is lovely, the soft colors and your design are fantastic.